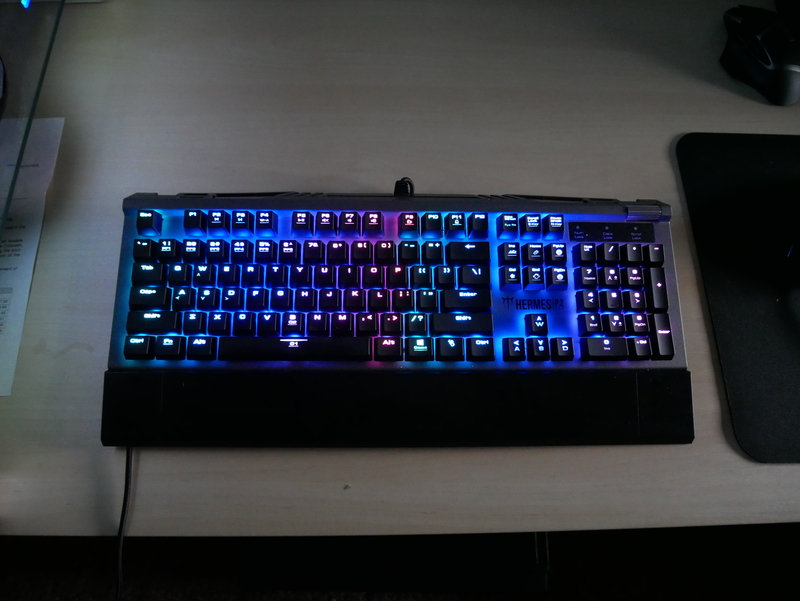 Gamdias Hermes P2 RGB Keyboard, with optical switches! 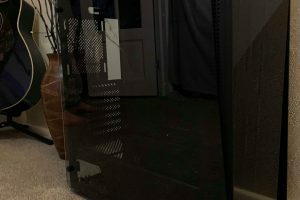 Gamdias is a company that has been around awhile. The first time I noticed them in the market was when they released their first gaming mouse and it did well at the very in a short period of time. Gamdias is known for their awesome designed mice with great switches and a reliable sensor. The company is also known for its keyboards. 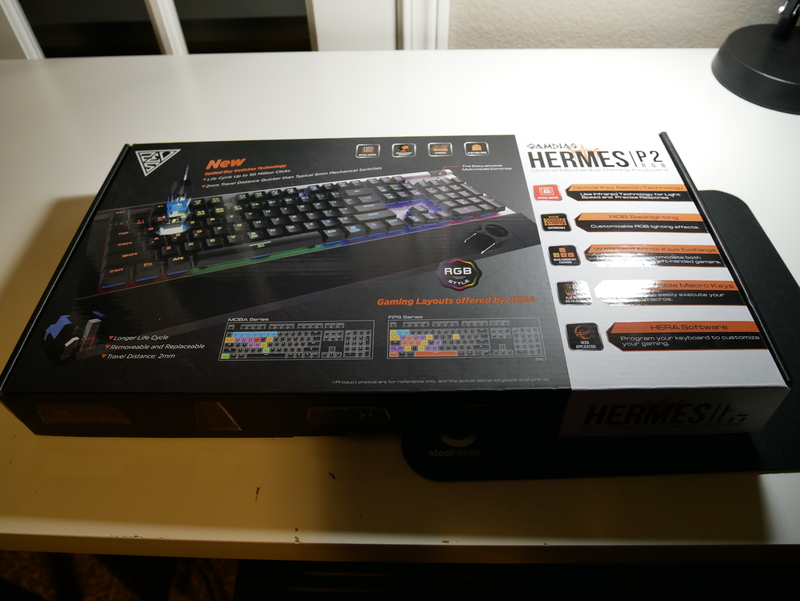 Today we are going to take a closer look at the Gamdias Hermes P2 RGB keyboard, $149.99 USD. Revolutionary Gamdias Certified Optical Switches: Optical switches are equipped with the latest light reflection technology with a vertical light beam to work even under a bent PCB and an individual switch can be swapped if needed. Individual Hot Swappable Keys: Simply remove and swap a key switch on an individual basis. Brilliant Illumination: 16.8 million RGB backlighting immerses you in the game with virtually unlimited lightning adjustability. Personalize and Customize. Ultra-Comfort: Specially designed for Hermes P2., the ergonomic wrist rest provides the comfort you need for prolonged gaming sessions. Durable, Stylish Design: The sturdy and solid metal faceplate is built to superior stability and durability. Ready to Game: N-key rollover, 100% anti-ghosting and 2 dedicated macro keys with 6 profiles up to 12 settings are essential to victory. 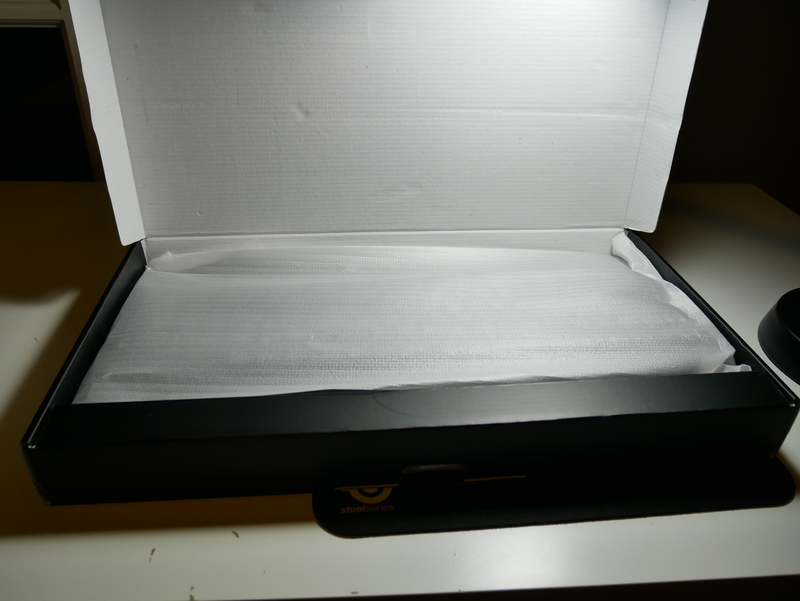 This unboxing went fairly standard for keyboards. 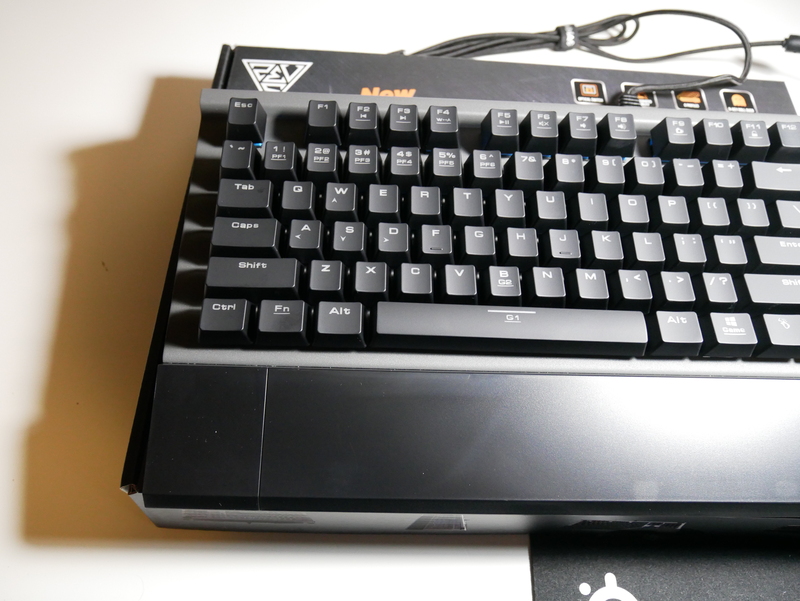 At first glance, this is a typical gaming keyboard layout and the box definitely reflects that, as the size of the box is pretty standard for any gaming keyboard. The outside of the box is elegant and its vibrant colors pulls you in. 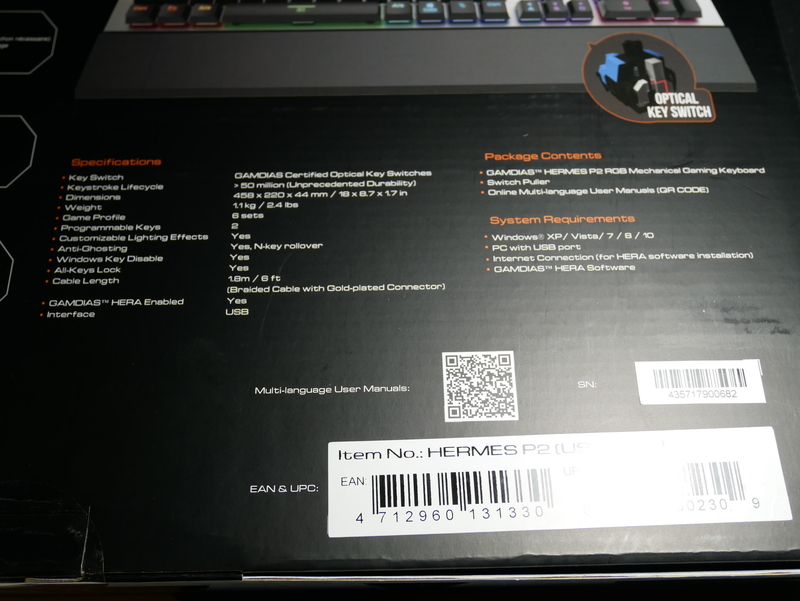 The front of the box has an image of the keyboard and also some of the features listed above. 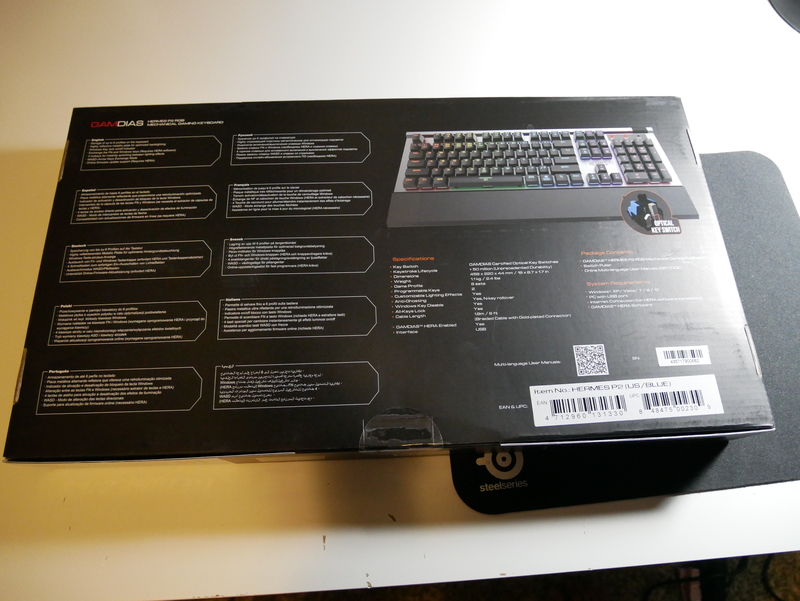 The back side of the box has another picture of the keyboard and also lists some of the keyboard specifications. 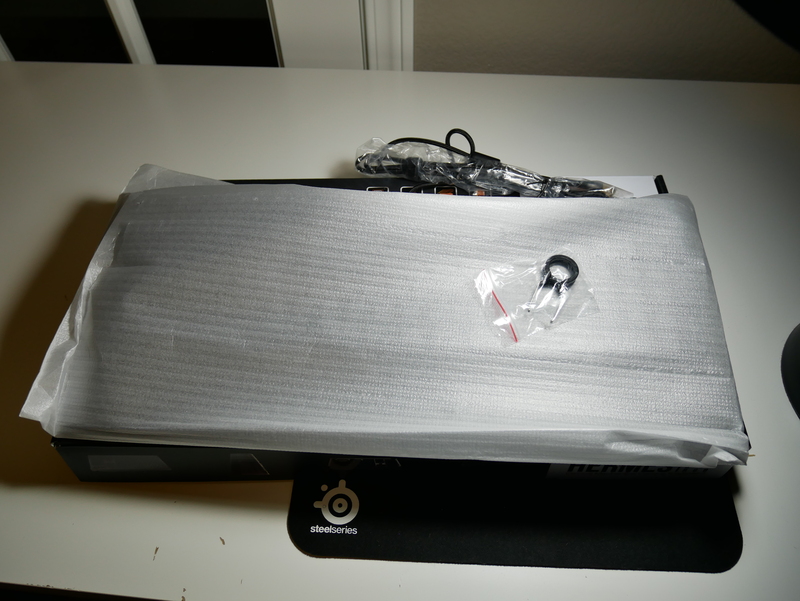 Once you open the box you notice some manuals, a key cap puller (a nice inclusion at this price point) and the keyboard itself covered in a plastic bag. 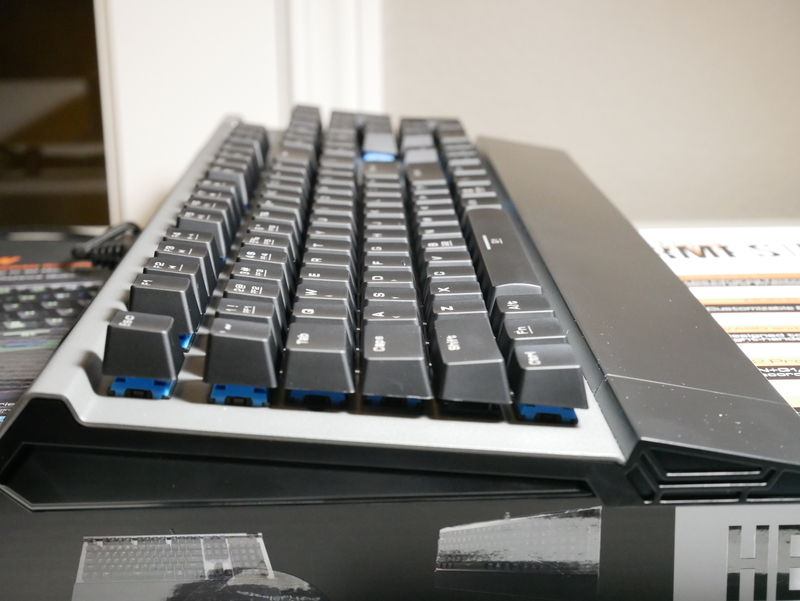 Taking a closer look at the keyboard it has a sturdy plastic case with aggressive angles on the sides and the front, bringing a stylish design to this keyboard. The metal faceplate adds to aesthetics and also the premium feel. With the adjustable feet it allows you to place the keyboard at the perfect height. The key caps are a nice black color that has great etching on them and they don’t feel like they could easily fade or be rubbed off. They have a great feel at the finger tips. The keycaps are removable if you wish to change out the keycaps, this also makes it great to change out any of the optical switches. On the right side of the keyboard there is a volume wheel that is a nice addition to not having to go into the volume icon in Windows to adjust your sound volume. There are also Macro keys to be able to map to your liking. 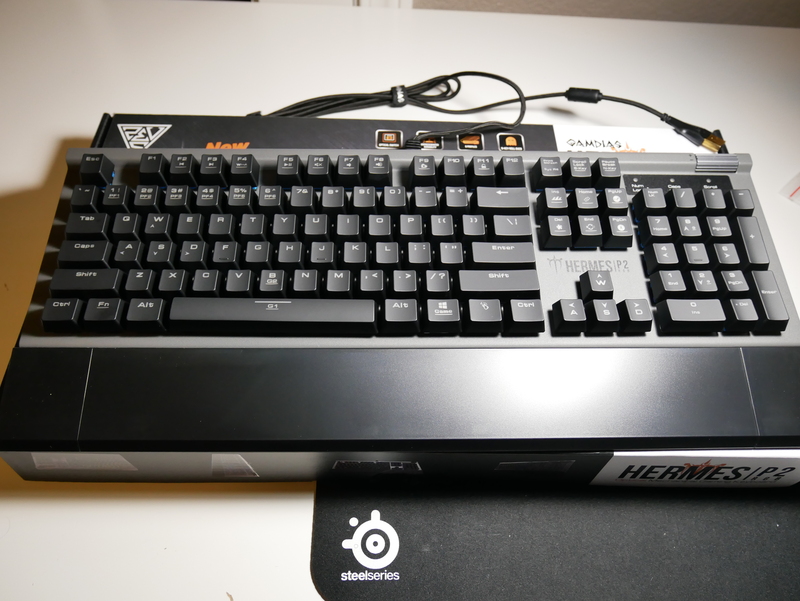 What is really special about this keyboard is Gamdias’ choice to use an optical switch. This type of switch is rarely used but does have benefits. The optical switch is used by breaking a light beam rather than the traditional switches which use bent pin contacts. The advantage of using an optical switch over a traditional mechanical switch is since there is less moving parts, there is an increased lifespan. These switches do come with your flavor of either linear or tactical feel. The braided cable also adds a nice touch to an already premium feeling keyboard. A integrated wrist rest is also included with the keyboard. 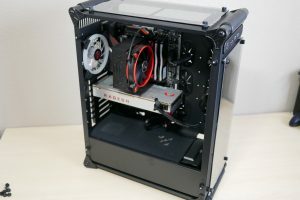 While I applaud Gamdias overall for including it, I wish that it was removable. This could reduce the footprint of the keyboard in case you need desk real estate. The backlit RGB keys are bright and vibrant. The 16.8 million colors and 4 levels of brightness allow you to customize your blacklight to your liking. The HERA software allows you to customize your RGB lightning and it overall is really easy to use. The variant I was sent was the Hermes P2 with blue switches. Overall, the switch performed much like any other blue switch, I was able to have great tactile feel and a great sound. 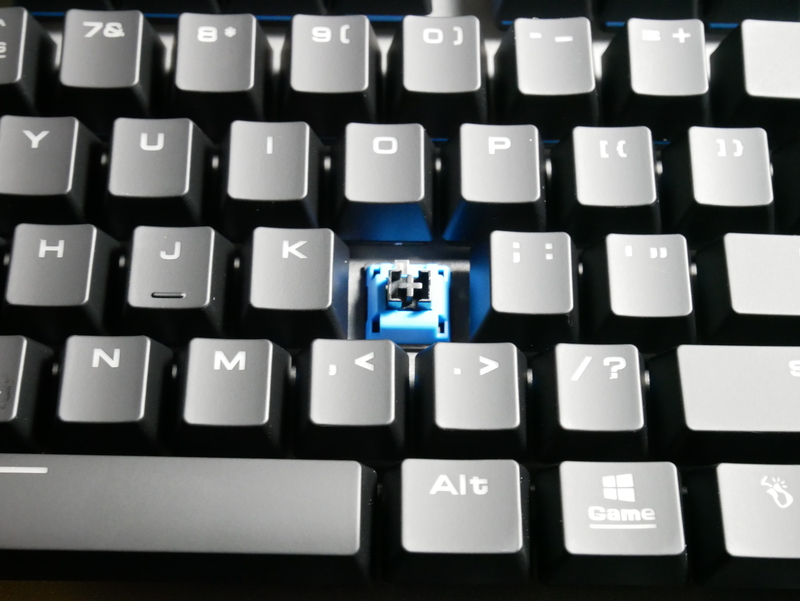 Another advantage of the optical switch is that you also don’t have to fully press the key down to get actuation, which can be a plus for people that don’t really press their keys all the way down. At the current price the Hermes is a great keyboard that will definitely last a while, if the keyboard is on sale, this keyboard is a no-brainer to pick up. Although very useful, I wish the Wrist Rest was removable to be able to reduce your desk real estate if necessary. 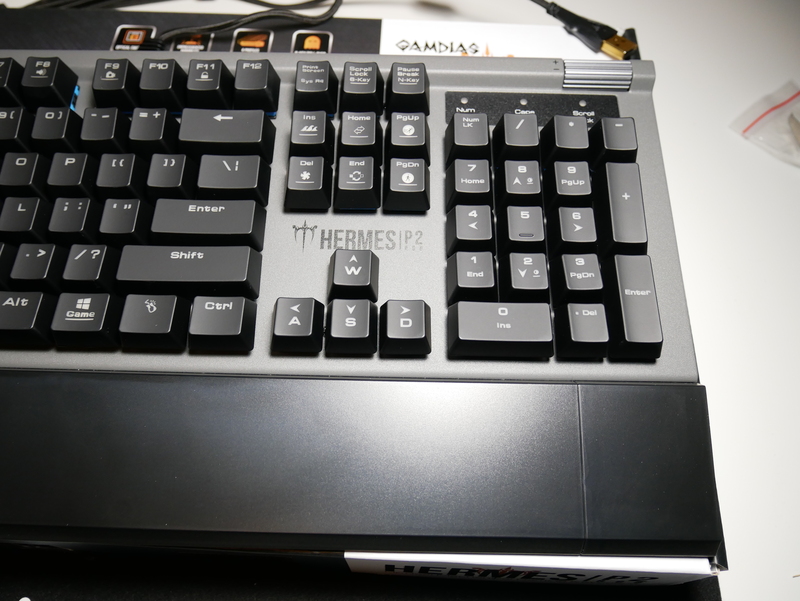 Bottom Line Overall, the Gamdias Hermes P2 is a great gaming keyboard with a premium feel and also premium features. The 16.8 million colors allow you to customize your keyboard backlight to any color and the optical switches will make sure this keyboard will last for years to come. I’m Bella from Kaihua Electroncis,just saw your website reviews,we also have many product can be offered to you review,any interested in it,please let me know,thanks!